Go Green and optimize your Information Technology Infrastructure - start by requesting a FREE Server Virtualization Assessment. ICS will then deliver a network server virtualization implementation plan which will include a cost effective, rock-solid, high availability design that is scalable for future growth. Server Virtualization powers both public and private cloud architecture and lets us optimize system utilization and resources to realize significant infrastructure and management cost savings which enable us to deliver Private Cloud solutions effectively in several different models. Let us custom design your business a Private Cloud built on Microsoft Windows Server 2012 R2 Hyper-V.
By inserting a thin layer of software directly on the computer hardware or on a host operating system, multiple operating systems are able to run concurrently on a single physical computer and share hardware resources with each other. The entire machine, including the network devices, memory, operating system and CPU is encapsulated, creating a virtual machine that is completely compatible with all standard operating systems, device drivers and applications. From a single computer, you can now run several applications and operating systems at the same time, each having access to the resources it needs without any conflict. Server virtualization technology lets you optimize system utilization and resources and realize significant infrastructure and management cost savings enabling your private cloud to become a reality. 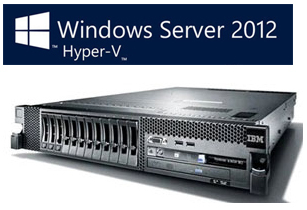 Windows Server 2012 R2 provides an ideal platform for enterprise-scale virtualization to power your private cloud. 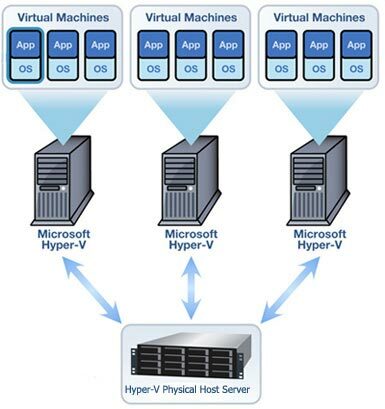 ICS will custom build you a private Hyper-V cloud environment, we use Windows Server 2012 R2 Datacenter featuring Hyper-V, a flexible high-performance hypervisor-based virtualization technology. Logically consolidate servers and streamline management. Reduce the cost associated with power, cooling, and data center space.